According to the Affordable Care Act (aka Obamacare), you can’t charge sick people more for their health insurance and you can’t deny people coverage due to pre-existing conditions. 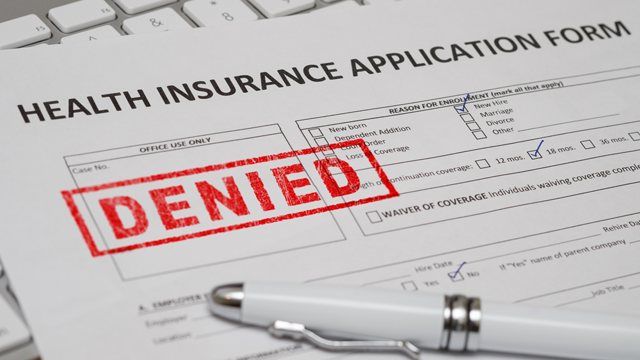 But given the current administration’s penchant for gutting regulations and their vehement dislike of the ACA, those protections may not be around much longer. If so, in this age of Big Data, your health premiums may go up based on risky behaviors and other factors for which you have little control. The whole point of insurance is to put everyone into a giant healthcare pool. This dilutes the costs for high-risk people by sharing the costs evenly across a large population of mostly healthy people. Of course, bad things happen to perfectly healthy people, too. So we all contribute a reasonable and fair amount of money into a big pot, but statistically speaking only a handful of us will need to use that money – so the math works out. That’s Insurance 101. But that hasn’t stopped health insurers from doing everything they can to tip the scales in their favor. They make money by not having to cover expensive procedures, so it’s in their best interest to only insure healthy people. Conversely, they try not to cover people with chronic, expensive conditions – or people likely to develop them. As humans, we leave a trail of personal data everywhere we go, like digital exhaust. Not just on the internet, but as we use our credit cards and carry our beloved tracking devices cell phones everywhere we go. The dossiers that data brokers build on us contain basic things like name, age, home address, income, occupation, marital status, number of children, and so on. But when combined with location tracking, purchase histories, and even our social media posts, many other things can be inferred: what you eat and drink, who you associate with, what your hobbies are, how much you exercise, religion and ethnicity, and even stress levels. All of these factors have some correlation with health and injury risks – and therefore, the likely cost of insuring you. Lock down your data. Opt out of data collection. Use privacy-enhancing web browsing tools. Drop out of Facebook (or at least crank up the privacy settings). Know what they know. Find out what they know about you. You can’t be an informed citizen or consumer without knowledge. I guarantee it will eye-opening. Start with Facebook, Google and Twitter. But you should also order your full LexisNexis report. You might also try getting Acxiom’s report. Get involved. Attend your local politicians’ town halls and write your federal representatives. Ask them to support common sense privacy regulations. Start by demanding full transparency and an end to dark patterns used to gain “consent”. Also consider donating to organizations that are fighting for your privacy every day like EFF, ACLU, ProPublica and others. You can find more information in my Data Privacy Day checklist, if you want to go full tilt.